After the following photo post on our Facebook page was so popular, we thought a blog post on the topic of shaving would be a good follow-up. Hello, I have an opportunity to purchase a Samoyed from a breeder that has been shaved, not sure how many times, by his previous owner, and then returned to the breeder. He’s only 10 months old. The breeder says it’s likely his coat will return because it’s his “puppy coat”. Would you say it’s likely that his coat will grow back? It is not patchy, just short (all undercoat it seems). It is likely the coat will grow back normally. 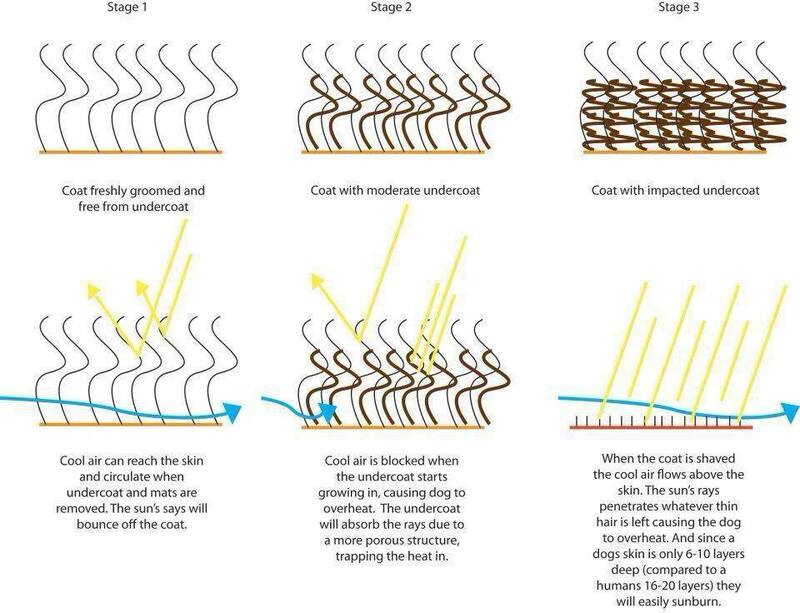 It will be important to brush the coat on a regular basis while it is growing in to reduce the thick undercoat so the guard coat can come in properly. Being a puppy certainly helps as their coat changes a lot as they mature. We made the mistake of shaving our Aussie and now that her coat is growing back in we see that in patches on her back it seems the undercoat isn’t growing back in, just the course hair on top. Do you think that will improve with the next shed cycle? There is potential it will, it is hard to say. The important thing will be keeping her well brushed so that all the hairs can grown in without hinderance. As long as we are properly credited and linked to your sharing, absolutely you may do so! Hi. My groomer shave my double coated sheep dog super short against my wishes! Is there anything I can do to get my dogs coat to grow back in properly? The best thing you can do is keep it well groomed while it is growing in. How about hybrid poodles? 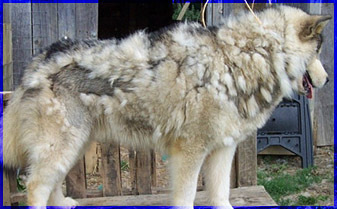 They don’t have much, if any, undercoat – but the hair can get matted if not properly brushed. Same concept? I am not sure what you mean when you say “hybrid poodles”, if you mean the mixes like Labradoodles, etc. then coat care is going to be dependant on the coat type the end up with. Any mix of breeds, until there is consistancy in the litters, can have any mix of coats. Poodles and labs in general do not have an undercoat (like the northern and spitz type breeds have), however they would need regular coat care, especially if they have the curly coat, which yes, can definitely matt and cause skin issues. The coat should either be clipped to keep it from matting or regularly brushed.